When someone uses the term, “oil,” in this day and age, they are usually thinking of either fuel or food. But, in an awesome confluence of friendship and researching for Sacrifice I found that oils have another use – medicinal. My research told me that oils have been used for centuries to treat everything from toothache (clove oil) to menstrual cramps (geranium oil) to cancer (frankincense and sandalwood oils, among others). 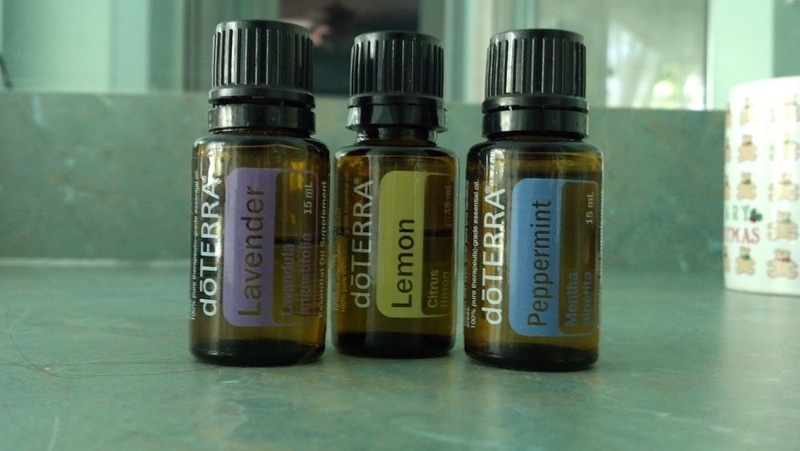 Many oils have detoxifying properties (lemon and grapefruit) and some can be used to combat pain (peppermint oil). The ancients believed in oils so much that they were used as components of sacrificial offerings (See Leviticus 2:15 for a start) and ritual purification (I Samuel 16:13). Evidence for the use of oils in promoting both physical and spiritual health can be found in most early cultures right down into the middle ages and beyond. And it doesn’t stop there. Peppermint: Most often I use peppermint for pain relief. Applied topically to my forehead or the back of my neck, it takes down a tension headache in about 5 minutes. Sometimes less if I’m able to hit the pain early. I understand that it can also be used to combat nausea but I haven’t needed to use it for that. I can say that it helps with mental alertness and fatigue relief. Lemon: I put lemon in my water for two reasons – 1) it is a powerful purifying agent, cleansing the body of toxins gently and effectively. My second reason? I like the way it makes the water taste. Its very subtle, but a drop or three makes my water taste great, and I don’t really like drinking water plain. I have pretty much given up those water additives in place of lemon. One warning: lemon (and other citrus oils) dissolves petrochemicals, which includes plastic cups. Its something to do with the chemicals in the cups reacting with the natural detoxifying properties of the citrus. So, I have switched to a glass container for my water. Lavender: This is the greatest sleep-aid I have ever encountered. In the last five years, my sleep cycle has become fragmented. It is rare for me to sleep through the night without waking several times and I sometimes have difficulty falling back asleep. Two drops of lavender on the bottom of each foot before going to bed and I not only sleep through without waking, I awaken without grogginess or that hungover feeling I have with over the counter sleep-aids. The nice thing about lavender is it also takes the sting out of minor burns immediately. I was making pasta sauce the other day and the sauce popped while I was stirring it, landing a teaspoon size blop on my finger. I got the sauce off right away, but it stung. A drop of lavender and the sting was gone. Half an hour later, there wasn’t even a mark to tell where the sauce had hit me. I didn’t start out with great expectations for healing oils. I didn’t see the connection between my research for my books and what the oils might do for me in the my modern life. Now, I’m really glad my research crossed over into my real life. *I am not a medical professional and this is not intended as medical advice. The anecdotes related above are my personal experience. For more information please visit the Doterra or Young Living websites. Great post! Always love to read the sharing of info and experiences about essential oils. And yes… I often think about the things that my grandparents taught me and how ‘Modern America’ purported to have a “better way” … but alas, proof is in the pudding… our grandparents were right!